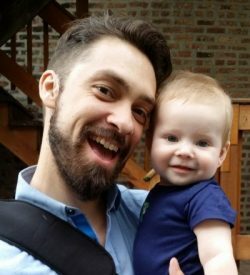 He is deeply dedicated to HEMA and is responsible for the Hroarr.com site, a neutral meeting ground for the HEMA community which provides resources on manuals, clubs and equipment as well as writes articles and reviews related to HEMA. Currently he is involved in a research project studying the whole of Joachim Meÿer’s 1570 treatise and works with both the staff, the longsword, the dussack and the dagger, using the same systematic method he applied to his quarterstaff research for which he is most known. 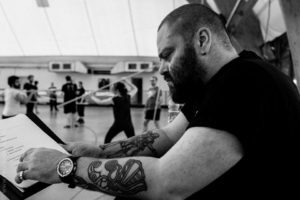 Christopher VanSlambrouck is a senior instructor, researcher and administrator with the Meyer Freifechter Guild, a Historical European Martial Arts group. For the last 16 years, he has had general interest as a HEMA scholar. 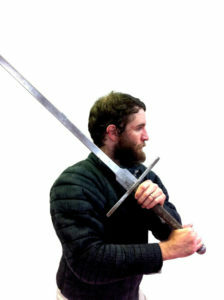 But from 2009 onward he has specialized in the instruction of the techniques of Master Joachim Meyer, particularly in the use of the XVI c. German longsword. Chris has instructed all across the Midwest and in several foreign countries. Michael has lectured on Medieval and Renaissance martial arts at the Historical Swordsmanship Symposium at the Massachusetts Center for Interdisciplinary Renaissance Studies, Life, the Universe, & Everything: the Marion K. “Doc” Smith Symposium at Brigham Young University, and numerous HEMA events both in the US and Internationally. Robert has been swinging swordlike objects around for the past 18 years, first, with various medieval reconstruction groups, then in 2006 started a HEMA study group looking at George Silver. In 2009 he joined the CSG (Chicago Swordplay Guild) picking up the Italian rapier, to see what ol’ George was so concerned about. Not looking back since, Robert has explored the many evolutions and innovations of the Italian art in the 16th and 17th centuries as well as its adaptation in the German arts by Joachim Meyer. Robert has teamed up with Roger Norling in bringing the various forms of Meyer’s work to the HEMA mainstream, at events like WMAW, the MFFG Symposium and in 2016 at the Hallebardiers’ Seminar in Bruges, Belgium. Dustin Reagan hates bios. Writing them, and passing them on to event organizers/promoters. He made a challenge once to the whole world that he could double them out. He put up real money. Everybody chickened out. To this day, nobody has challenged him for said money. Founder and principal instructor for the Sacramento Freifechter, Coach Elsner has been studying Joachim Meyer’s art since he was first introduced to it through photocopies of its woodcuts and badly translated text in 1999. 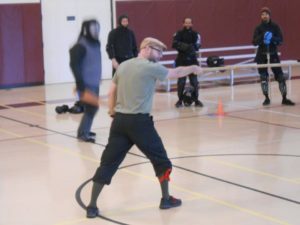 In 2012 he founded the Sacramento Freifechter Historical Fencing Club and has worked to grow it into one of the largest clubs in Northern California. He believes in a holistic approach to Meyer’s art combined with modern pedagogical techniques for imparting skills to new students. While some consider this approach to be heretical he finds it effective in teaching people about Meyer’s art. Charles began training in martial arts in 1980. Over the ensuing decades, he has trained in several styles of karate, aikido, taijitsu, jujitsu, and budo arts. 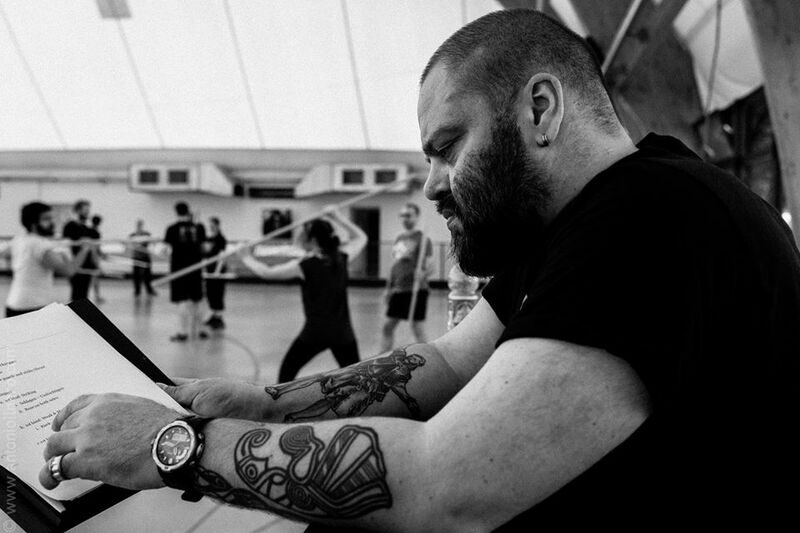 He discovered Historical European Martial Arts (HEMA) in 2008. He joined the Meyer Freifechter Guild (MFFG) in 2009 and founded the Grünberg Freifechter as a study group of the MFFG in early 2010. The group has been focusing on Dr. Forgeng’s translation of Joachim Meyer’s 1570 multi-weapon treatise entitled “The Art of Combat”. Charles has taught classes at the Meyer Symposium, Purple Heart Armory Open, Fechtschule New York, Fechtschule Frisbee, Longpoint, and Iron Gate Exhibition (IGX). He has medaled in spear, dagger, wrestling, and longsword. James Reilly began his study of martial arts in his early teens. His first focus was on western boxing, later moving on to Brazilian Jiu Jitsu. At 20 years of age he joined the Armed Forces where he achieved the rating of Navy Chief in just over 5 years of service. He began his study of historical swordsmanship in 2009, after stumbling across the highly acclaimed documentary Reclaiming The Blade. He joined the HEMA Alliance as an individual member in 2011. James is the Principle Instructor of the Wiscconsin Historical Fening Association, Kenosha-Racine. 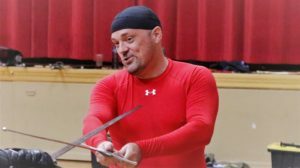 He uses the recital of Liechtenauer as the basis for his longsword curriculum, and has gained some notoriety for his work interpreting Joachim Meyer’s text on the longsword and Rapier. 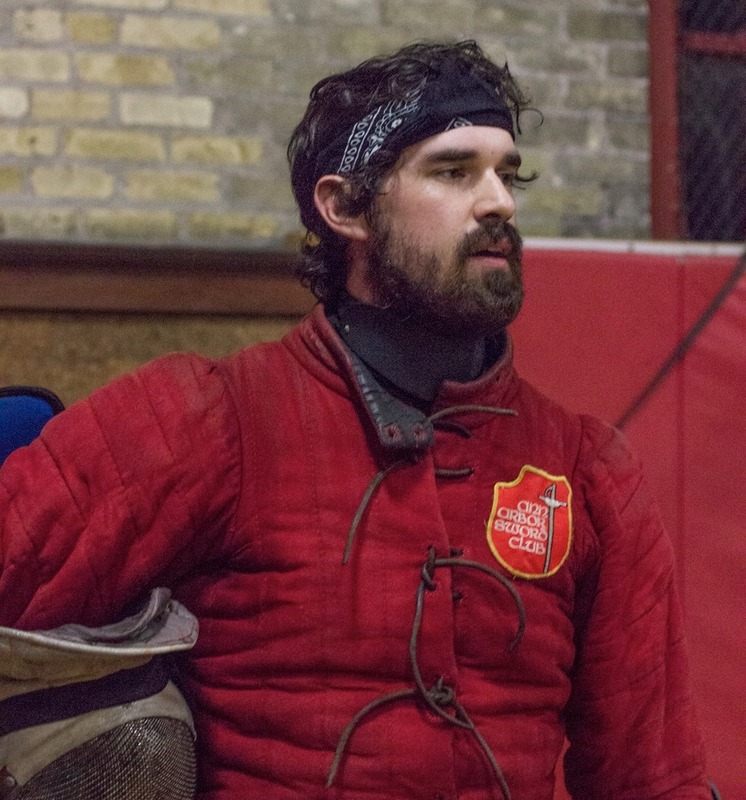 He is the founder and President of the Midwest Historical Fencing League, and has taught at historical fencing workshops across the United States. He holds the fechter rank by the MFFG in longsword, dagger and rapier, and is a free-scholar in the Historical Fencing Affiliates. Adam is a three-weapon Fechter in the Meyer Freifechter Guild and a Free-Scholar of the Historical Fencing Association. He started modern olympic fencing in 2005, and has been active in HEMA tournaments since 2015, earning multiple medals in longsword and rapier. 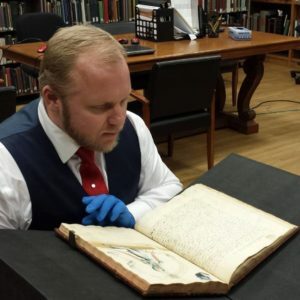 Adam earned a master’s degree in history in 2018, and uses his academic skills to study the martial culture of Early Modern Europe, with a particular focus on the Freifechter tradition of Germany, and Salvatore Fabris’ rapier system. 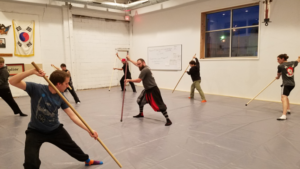 In 2017, Adam found the Lansing Longsword Guild, and has been an event organizer and instructor for the clubs in Michigan, and was one of the founders of the Midwest Historical Fencing League. He hopes to promote deep source study and healthy body mechanics to create skillful, crafty fencers that are, above all, fun to fence.